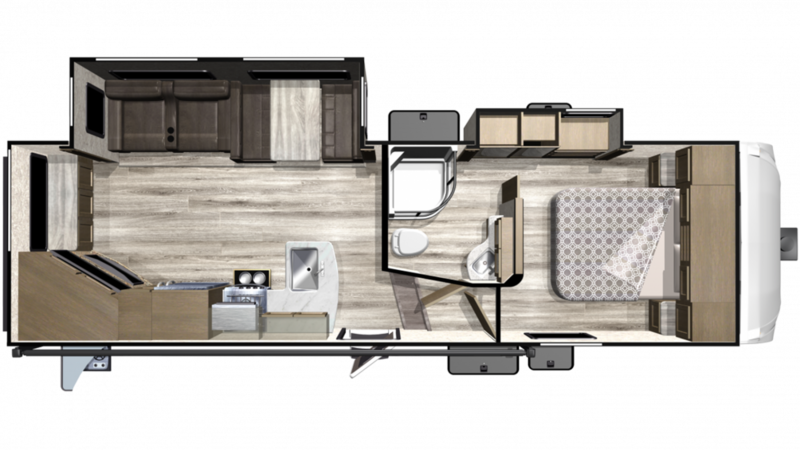 Stop by RV World MI to bring this amazing 2019 Starcraft Telluride 251RES home! Find this 5th Wheel and other exceptional RVs when you visit us at 7834 S Division Grand Rapids Michigan 49548! Call us at 616-591-3632 to talk to one of our RV experts today! Bring the comfort of home to the campground with this cozy RV! It sleeps up to 4 people, plus has a private bedroom! Inside the bedroom is where you'll find the snug and spacious Queen bed, the perfect sight after a long, tiresome day on the road! You don't have to survive solely on campfire food and fast food joints! With the kitchen's 8.00 cu. ft. refrigerator and 3 burner range cooktop, there's plenty of different options for breakfast, lunch, and dinner! With the 51 gallon fresh water tank, you won't have to worry about running out of clean water!